A campaign by the Service and Food Workers Union and supported by more than 50 organisations calling for all New Zealanders to be paid a ”living wage” will be launched ahead of this week’s Budget. 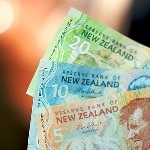 The union is concerned there will be little in Thursday’s Budget for low-income New Zealanders. A living wage is defined as an income which allows workers and their families to not only survive but participate in society. The launch in Auckland’s St Stephen’s church in Ponsonby on Wednesday follows similar campaigns overseas in the United Kingdom, the United States and Canada. A coalition of organisations involved in the campaign have begun calculating how much a living wage would be in New Zealand using an independent economist. But a figure is not expected to be announced at the launch. The coalition will be calling on central and local government to take the lead by paying low-wage staff such as cleaners a “living wage”. In London the living wage has been estimated at 30 per cent above the minimum wage and had been adopted by employers including Greater London Council and London Olympics 2012. Service and Food Workers national secretary John Ryall said a living wage must enable workers to live a decent life and to avoid the chronic stress of poverty. Speakers at the launch will include representatives from budgeting and family support services, church groups and the Council of Trade Union.